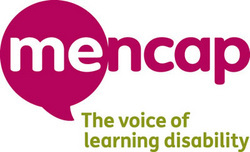 The disk images on this website are free to download - however AmigaPd encourages you to make a donation to our chosen charity Mencap by visiting our Just Giving Page. The majority of games included in our AmigaPd recommends sections (Part 1, Part 2, Part 3 and Part 4) are availabe to download from this page. Over the coming months AmigaPd will be adding webpages containing disk images for download. Click on the link to take to the page containing downloads of games beginning with that particular letter. Source Code for various AMOS Games. The main priority of the site is to focus on ADFs and DMS images from the Amiga's golden period of the 1980's and 1990's. However, if I come across Public Domain games relating to the current OS4 then I will add them to this page. Click here to access the zipped disk files for my top 100 Public Domain games. These are currenlty ordered alphabetically, some games have additional links to youtube videos and reviews. Amiga Power Public Domain Game Cover Disks. Click here to access links to the Amiga Power cover disks which contained public domain games each month. Coming soon - United Public Domain Games !!! After I have finished uploading the Assassin Game disks I will move onto the united public domain games !! !